On October 9, 1967, in La Higuera, a small town in Southern Bolivia, the leader of the Cuban revolution Ernesto ‘Che’ Guevara was executed by CIA-backed Bolivian soldiers. Yet, half a century later, Che is still very much ‘alive’ in the minds of millions. Che Guevara transformed from a guerrilla hero into a revolutionary martyr, and to a kind of civil saint. In this article Dirk Kruijt, expert in Latin American affairs, describes Che’s life and, in particular his afterlife. Ernesto Guevara was born in Argentina in 1928 as the first son of an upper middle class family. His father’s ancestors were wealthy people with old money. One of his mother’s forefathers had been the last Spanish Viceroy of Peru, De la Serna. As a child he was a daredevil and many of who knew him personally portray him as utterly fearless. He was a maverick and an iconoclast who kicked against all sacred cows he met or looked for. He was restless and only found a stable home during the first years of his Cuban marriage. And even then he was most of the time underway, fighting or negotiating. Even before graduating as a doctor he embarked on extended travels across the Americas; traveling was another lifelong preference. After his degree he began the life of a bohemian. It brought him in Guatemala where he joined the ranks of political tourists and refugees of the Left during the revolutionary government of Colonel Arbenz. After the CIA coup against his regime (1954) he took refuge at the Argentinean embassy in Guatemala City together with many sympathisers. Exiled to Mexico City he befriended Fidel and Raúl Castro and joined their group of rebels. During the successful guerrilla campaign (December 1956 – January 1959) he became a reputed military hero. In the early 1960s, Fide, Che and Raúl formed an informal triumvirate. In addition to his many political and military functions (president of the Central Bank, minister of industry), he was a kind of roving ambassador of the Cuban Revolution. He headed the first Cuban missions to the Soviet Union, China and the founding members of the Non Aligned countries of which Cuba became a leading member. He also established ties with many African countries. Patience and tact were not his most striking virtues. He was uncompromising and his sardonic comments did not make him friends within the power circles of the Soviet Union and the Socialist Block. Guevara, once a restless bohemian and traveller and now a senior cabinet member, opted for a more adventurous life. He had tried to join the Nicaraguan, Guatemalan and Venezuelan guerrilla. He had supervised the training of guerrilla forces to Argentina, Bolivia and Peru. All in vain. He went to the Congo (1965) and to Bolivia (November 1966 – 9 October 1967). Both missions ended in disaster. I quote from the interviews with the members of the Departamento America, Cuba’s elite liaison organization with liberation and guerrilla movements. After the catastrophic interventions in the Congo and Bolivia, Osvaldo Cárdenas, then assisting the exfiltration of Guevara’s group in the Congo (and afterwards Cuba’s ambassador to Surinam), still ruminates on the fact that most of Che’s Cuban combatants knew that their mission would end badly and could never be successful. They accompanied Che Guevara because of personal loyalty. When he told them that they were free to leave but that he would stay, they preferred unanimously to continue fighting. When he went to Bolivia, Guevara was already 39 years old, and he felt “much urged by his increasing age”. The fifteen Cuban members were experienced veteran combatants. Some had fought in the Sierra Maestra as members of his ‘suicide platoon’, some had previously been with Che in the Congo. There were several guerrilla comandantes, central committee members and vice-ministers in overlapping functions among them. Minister Borrego, Che’s friend and successor, had asked to join him but Guevara had turned him down. The Cuban leadership was shocked by Che Guevara’s death, as was an entire generation of revolutionaries. A million Cubans went to the Plaza de la Revolución in Havana. An army battery fired twenty-one cannon shots in honour of Che. His Bolivian diary was published in 1968 in Cuba with a first edition of 250,000 copies. Che’s ideas about guerrilla warfare did not withstand the proof of practice.Time and again, regular armies have defeated rural guerrilla movements, generally after barbaric counter-insurgency campaigns. In most Latin American countries where guerrilla movements erupted, the Communist Parties of the Moscow line preferred a political abstinence: in Bolivia, Brazil, Guatemala, Nicaragua, Peru, Uruguay and Venezuela. But there is more: in their revolutionary praxis, many guerrilla leaders underestimated the immense difficulties of incipient insurgency movements and overestimated the supposed enthusiasm of the poor and indigenous population for joining them. During the insurgency period in Cuba, the guerrilla had been quickly reinforced with local student and peasant volunteers. Cuba did not have a significant indigenous population. Poor peasants spoke and understood Spanish, at least in dialect. But in the 1960s and later, the reality in other Latin American countries was different. In Central America and the Andean countries, huge contingents of indigenous peoples, sometimes more than 50 percent of the total population, were mono-lingual in non-Spanish languages: they spoke one of idioms of the linguistic Maya family or Quechua dialects, Aymara or Guaraní, to list only the dominant indigenous tongues. Their centuries-long segregation, their communal land tenure, their usos y costumbres (traditions and conventions), their poverty and backwardness, all these conditions made it difficult to facilitate contact with strangers who suddenly appeared, without deep knowledge of the indigenous societies, aspirations and culture. And if there was one institution whose members were more or less familiar with the indigenous masses (from which they recruited their soldiers), it was the army. In Latin America of that time, the army was probably the only representative of the State with which indigenous peasants were familiar. People in the underdeveloped regions knew the army officers, but also the army doctors and nurses, the army engineers who built the village roads, and the army lawyers who explained the Law. It was not uncommon that enlisted men, trained and literate after military service, became community leaders after their return. For many inhabitants of the poor and remote regions, the armed forces were the legitimate State ‒ and thus the only respected authorities. The political significance of Guevara’s death was enormous. Instantly, Che Guevara was transformed from a guerrilla hero into a revolutionary martyr, and to a greater extent a kind of civil saint. In Cuba he was proclaimed to be the ‘Guerrillero Heroico’. It was the beginning of a cult that ended in a kind of secular religion, in part spontaneously born, in part induced by the State. An entire generation of Cubans who were too young for active participation in the insurgency campaign against Batista, tried to follow Che’s steps, as ‘internationalist’ in the African wars and in medical brigades and literacy campaigns in the Third World. 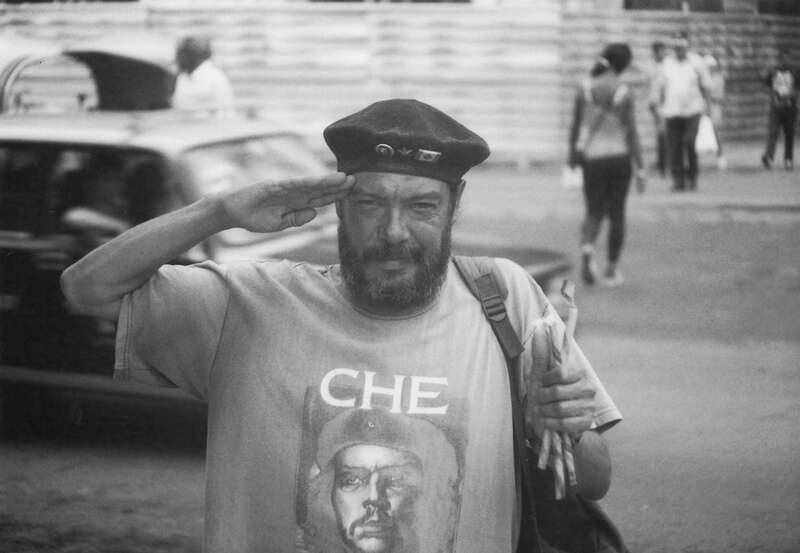 ‘Seremos como el Che’ (‘we will be like Che’) was and is the motto of a good Cuban communist. It is internalised at school and repeated during manifestations. At October 9, Young Pioneers with lilies and other white flowers march in Che’s honour. In every other Cuban household and every single office of the public sector there is a photograph of the fallen martyr. 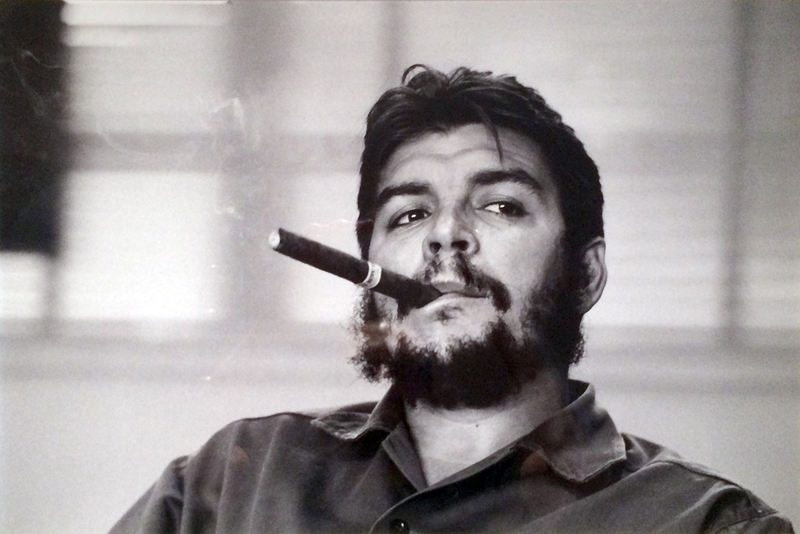 In Bolivia, Central America, Chile and Peru, Che Guevara also metamorphosed in a popular saint: as ‘San Ernestito’ in Bolivia, as Jesus-like Guevara on his deathbed in Chile, where he was invoked by Liberation Theologians in Chile as a proto-Christian (he was atheist), and an example of Marxist-Christian martyrdom in El Salvador, Guatemala and Nicaragua. In Bogotá, at the main plaza of the Universidad Nacional, two large murals of Camilo Torres (the fallen Colombian priest of the ELN) and Che Guevara dominate the scenery. In Nicaragua, In the 1970s, young recruits of the Sandinista guerrilla solemnly declared their loyalty ‘before Fatherland, history, and Che Guevara’. The influence of Guevara in the foundational period of almost all guerrilla movements is demonstrable. His ideas were discussed and applied by almost all rebellious Latin American movements. His German biographer Stephan Lahrem explains the enduring fascination and the persistent Guevara cult status through the coincidence of several circumstances: the beautiful and romantic Korda photo, the analogy of the image of the crucified Christ and Che on his deathbed, his ascetic radicalism and the ‘purity of revolutionary violence’. I cannot remember a Latin American guerrilla movement (with the exception of the Maoist Shining Path movement in Peru) for which Guevara’s life and death were not a source of inspiration. During the European students’ revolts in 1968 and the American Anti-Vietnam demonstrations, Che’s image was carried as the paragon of resistance and heroism. It was the famous photograph of Korda, popularised in posters by Feltrinelli. This image is still used in Cuba’s souvenir shops on cups, plates, T-shirts, key rings, sun visors, and all kinds of gadgets. There is a touristic Che trail in Bolivia around La Higuera. Convinced communist Ernesto Guevara is now a capitalist industrial commodity. Already in 1969, Daniel James, with the help of abundant CIA data, wrote the first biography depicting him as a Stalinist and mass murderer. There were scholarly disputes by biographers about his friendship or enmity with the Castro brothers. The most lovely biography is written by his (Cuban) widow Aleida March. Nearly all his other family members mined their personal memories in order to write books about Ernesto: his first (Peruvian) wife Hilda Gadea, his two brothers Roberto and Juán Martín and his father Guevara Lynch. The tone is hagiographic. His oldest grandson Canek Sánchez Guevara, the son of Hildita Guevara and Mexican revolutionary Alberto Sánchez complained ten years ago about the commercial use of his grandfather he never knew. There is a Cuban Che Guevara Centre, whose board members are his children. His daughter Aleida is the spokesperson. Year after year new biographies and books about Che Guevara are published. There are also the movies by Fleisher, Salles and Soderbergh, the many documentaries, poster collections and graphic novels. There is a certain development in the evolution of themes: from revolutionary strategist to revolutionary martyr, from romantic idealist to icon of solidarity, sacrifice and internationalism. Che Guevara will surely be remembered as an icon in the pantheon of revolutionaries, but as a mythical hero, not the person he was. 1.This is an edited version of the written text of a presentation professor Kruijt held at the Institute of the Americas, University College London, on October 9, 2017. In his presentation he draws on his book about Cuba and the Latin American Left, and re-consulted Jon Lee Anderson’s fine bibliography of Che Guevara (Che Guevara: A Revolutionary Life, London: Bantam Press, 1997).2.Dirk Kruijt, Cuba and Revolutionary Latin America. An Oral History, London: Zed Books, 2017, p. 238. Cárdenas was asked to keep the original version of Che’s Congo diary. Piñeiro told him to take care and safeguard the original. In September 1982, when appointed ambassador to Surinam, he asked Piñeiro, chief of the Departamento America and Fidel’s political operator, what to do with the diary. ‘Give it to me’, he told him. Piñeiro passed the original copy to Fidel Castro. It was published in 2001.3.His writings on economy and society were less appreciated. In 1996, Guevara’s collected works on the economy, published in seven volumes of 650 pages each and edited by Orlando Borrego, were only published with a limited edition of 260 copies. Eventually the Cuban editorial house José Martí republished Borrego’s original 1966 edition between 2013 and 2015 in a popular edition.4.The complete Guevara writings on guerrilla warfare in English are written by Brian Loveman and Thomas M. Davies Jr., Guerrilla Warfare/Che Guevara. Wilmington, DE: Scholarly Resources, Inc., 1997 (third edition with Revised and Updated Introduction and Case Studies.5.A term coined by García Marquez and used by Taibo to portray Che’s status as a revolutionary hero.6.For the relation between Latin American Liberation Theology, Cuban Marxism and the Central American guerrilla movements, see: Dirk Kruijt, Guerrillas: War and Peace in Central America. London: Zed Books, 2008, pp. 47 ff.7.Stephan Lahrem, Che Guevara - Leben, Werk, Wirkung, Frankfurt am Main: Suhrkamp Verlag, 2005, pp. 131-139.8.For the origin of the Che mythology and its commercial use in Cuba, see: Michael Casey, Che’s Afterlife. The Legacy of an Image, New York: Vintage Books, 2009.9.Daniel James, Ché Guevara. A Biography, New York: Cooper Square Press (Republication with a New Introduction by Henry Butterfield Ryan), 2001 .10.Jon Lee Anderson, Che Guevara: A Revolutionary Life, London: Bantam Press, 1997; Jorge G. Castañeda, Compañero. The Life and Death of Che Guevara, New York: Alfred A. Knopf, 1997; Simon Reid-Henry, Fidel and Che. A Revolutionary Friendship, New York: Walker and Company, 2009; and Paco Ignacio Taibo II, Guevara, also Known as Che, New York: St Martin’s Press, 1999.11.Aleida March, Evocación. Mi vida al lado del Che, Havana: Ocean Press, 2011.12.Sánchez Guevara in 2007(consulted September 16, 2017). But he also complained about Cuba and ‘the monarchy of Uncle Fidel’. He died in 2015 after having written a vitriolic book about Cuba. (Canek Sánchez Guevara, 33 Revoluciones, Mexico: Alfaguara, 2016). Why can't India let Pakistan have Kashmir? Why this indifference towards Baloch? Why Hindus Lag Behind In Kerala?